Best Fat Tire Mountain Bike Reviews 2019 | Are Diamondback and Mongoose Top Brands? 6 Best Fat Tire Mountain Bike Reviews 2019 | Are Diamondbacks and Mongooses Top Tier? We've reviewed the best fat tire mountain bikes on the market and have decided that the Mongoose Dolomite is the best of the best. It is highly rated and reasonably priced. With a steel bike frame and supersize all terrain knobby tires, this bike is high quality and worth checking out. If you're interested in getting a new mountain bike, there is no question you have a slew of options. 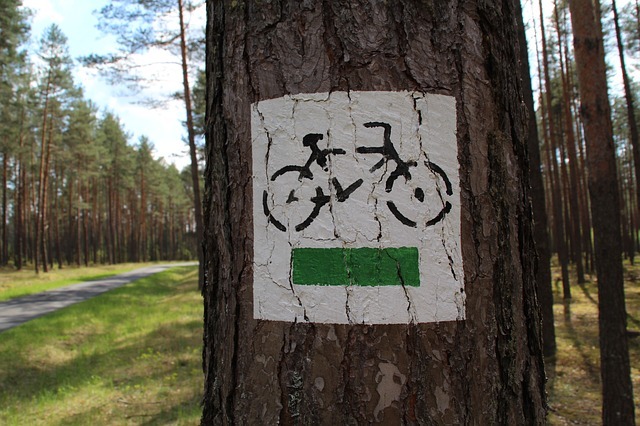 There are various types of mountain bikes that you can pick. You ultimately want to choose something that is best for the kind of trail and terrain you'll be riding. Something that is incredibly comfortable, easy to ride, and simple to maneuver. Fat tire bikes have recently gained a bit of popularity in recent years. What used to be a niche market is now creeping into the bigger mountain bike market as a legitimate option for any biker. Fat tire bikes are made with much wider and larger tires to ride better and navigate the deep snow and soft sand often experienced in particular parts of the world. After purchasing, be sure to get a bike rack to help transport your new bike to the wild to use for the first time! There are many different reasons why opting for a fat bike may be advantageous. One of the biggest benefits of a fat tire bike is its ability to take you places you've never been able to bike before. So for those cycling addicts that are looking for a different atmosphere, this may be a good choice. You will have improved traction and grip on the toughest terrain. Sleet, mud, and rain won't even faze these capable tires. Fat tires don't need as much air, so they make your ride more comfortable. Tire pressure is much less with these tires; this means that the elasticity provided helps to cushion shock, which makes your ride more comfortable, but they are a bit overkill for regular road bikes, where terrain is not an issue. If you're just a casual biker looking to cycle around the city look at these top hybrid bikes. There is also less maintenance required with a fat bike. Fat bikes don't get damaged or need repairs at the same rate as other mountain bikes. So while they may seem a bit pricey. The amount of continued work and money you'll have to put into them is very minimal. For powerful alternatives look at these electric mountain bike reviews. 26” beach cruiser that is made specifically to be ridden with ease and little effort. The oversized tires provide incredible traction and stability. The ergonomic design provides a very natural riding position. Supersized frame enables magnificent clearance for any terrain. Comfortable low rise handlebars. With black aluminum rims, this bike provides a type of stability and ease that anyone would appreciate. State of the art, shifters, breaks and derailleurs, this fat bike, is said to be able to conquer riverbeds. 21 Speed drivetrain makes even an uphill trek bearable. Steel diamond frame with sturdy, black rimmed tires. This bike is heavy duty. Weighing in at almost 50 pounds, it can be a bit taxing to maneuver, but if you're up for the challenge than this bike could be for you. Complete with a coaster brake and state of the art handles. One of the most lightweight frames of any of the options on this list. A Revo 7 speed shifter that allows you to change gears quickly. Best for riders shorter than 6'. A great bike to ride on steep trails, the control options provide adequate ability to make split second decisions as far as direction and speed of your rides. Deemed completely trail ready by the manufacturer, this bike is ready to ride as soon as it's assembled. Low-end flexibility for steep hill climbing but enough high-end to reach the particular speed of your choosing. This bike rides with a gentle ease. Weighs in at 37 lbs. The El Oso Gordo prides itself on being all float and efficiently handling whatever traction you may ride through. The steel construction gives it a fundamental anchor and ability to provide an enjoyable riding experience. The bike shifts through seven speeds while capable disc brakes handle braking. If you've decided to opt for a fat tire bike, make sure that you do the necessary amount of research to find the perfect fit. Check reviews and be certain exactly what you require from your bike. Fat bikes are ideal for traveling through steep terrain while enjoying the majestic environment that surrounds you. Tent.net is a participant in the Amazon Services LLC Associates Program, an affiliate advertising program designed to provide a means for sites to earn advertising fees by advertising and linking to Amazon.com. Tent.net is a participant in the Amazon Services LLC Associates Program, an affiliate advertising program designed to provide a means for sites to earn advertising fees by advertising and linking to Amazon.com. © 2019 All Rights Reserved.